In the last year, we've seen so many artists pick up exclusive residencies at Las Vegas hotspots. Drake teamed up with the Wynn and Janet Jackson will be taking the stage as well. In arguably the most impressive move, the Palms Casino Resort is looking to shape the way we see Vegas altogether by introducing tons of the industry's biggest current stars to their already impressive lineup of talent. With the opening of their KAOS Dayclub and Nightclub next week, the Palms just introduced a glamorous new campaign that will get you hoping to sneak into the madness they're about to offer. The new Unstatus Quo campaign is doing exactly what it set out to do: shift the way we see Vegas as a whole. In the brand new video, some of Hollywood's biggest stars show how they get ready for a night out in Sin City. Rita Ora brushes her gold grills, Emily Ratajkowski reads a flaming gossip newspaper and Cardi B fans herself with hundred-dollar bills. The night is about to get special, closing out with a literal mic drop after Cardi gets off stage. 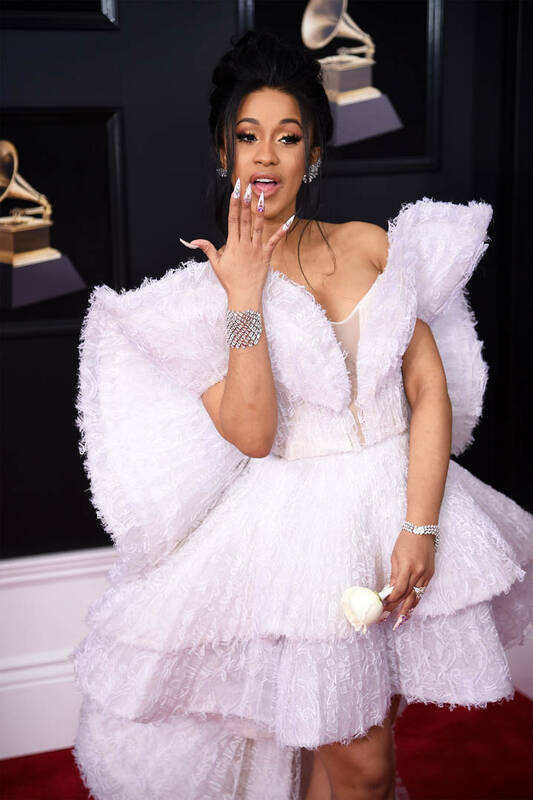 KAOS Dayclub and Nightclub is set to host some major festivities next weekend, including performances from Cardi B, Travis Scott, and more. Check out the extravagant new campaign below.